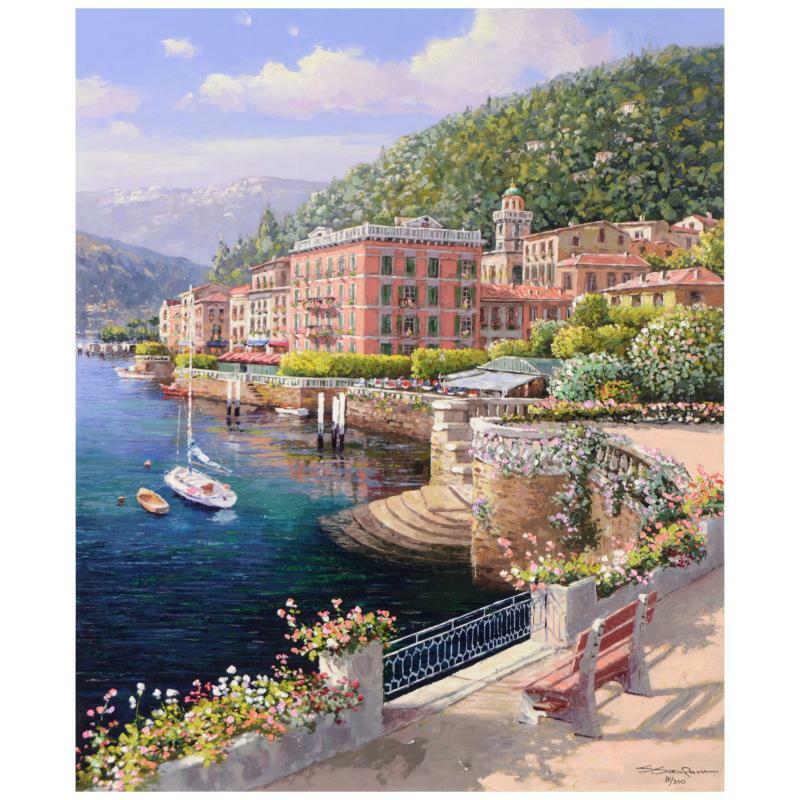 S. Sam Park, "Lakeside Bellagio" Hand Embellished Ltd Ed on Canvas, Numbered and Hand Signed with Cert. 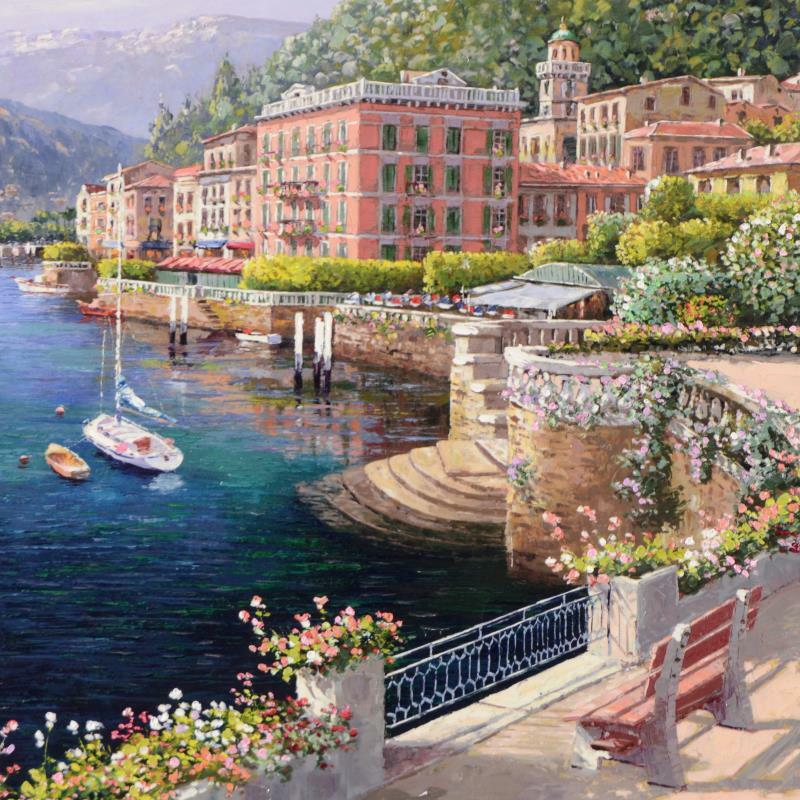 "Lakeside at Bellagio" is a limited edition hand embellished giclee on canvas by S. Sam Park from a sold out edition, numbered and hand signed by the artist. Includes Certificate of Authenticity. Measures approx. 24" x 30" (image). At a young age Sam Park’s artistic talents were quickly noticed by prominent artist and heads of state in Korea. The former president of Jo-Joo Island was his personal teacher and mentor. His talent earned him many first place awards for competitions held by the Mok-Woo Art Societies, which were personally given to him by the former president of South Korea. Park became and remains the youngest person to have even had the opportunity to compete in this competition. In 1973, Park graduated from the Jung Ang University. 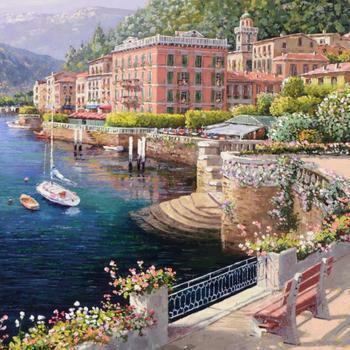 Shortly thereafter he moved to France where he lived amongst other artist and he was be inspired by the French Impressionist. In 1984 he returned to Korea momentarily to compete in a competition sponsored by the Olympics for the 1988 Seoul Olympic Games. Although there was an excess of 2000 competitors, Park won a Gold Medal. A few years later, Park returned to France. Over the next fourteen years he lived throughout France, Greece, and Cyprus. While living in Cypress, he was even commissioned by the President to paint the First Lady’s Portrait. Sam Park currently resides in California. His work has been exhibited in several U.S. Galleries. In 1996 his works were exhibited for the first time at the New York Art Expo.